Tuned for a full sonic spectrum and plenty of volume. 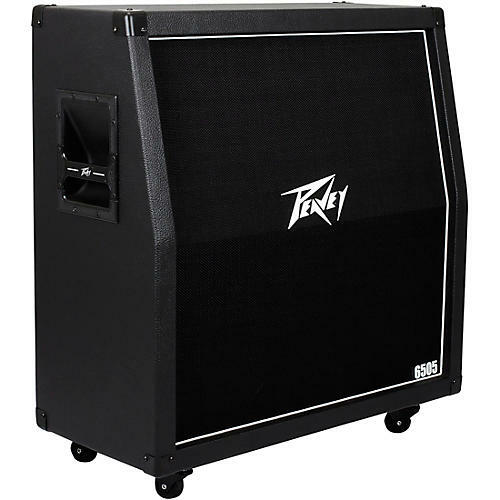 The Peavey 6505 4x12 240 W Guitar Cabinet has 4x12 Celestion Vintage 30 speakers loaded in a biplanar-aligned, infinite baffle, 240 W closed-back cab. A perfect match for a 6505 or 6505 Plus head. This Peavey speaker is constructed from high-density plywood. It has recessed handles and heavy-duty casters. 1/4" and XLR jacks. 16 ohms. The perfect complement to your 6505. Order today.